Where Is the National Security Agency’s ‘Secret Room’ for San Diego? ”] Where is San Diego’s ‘Secret Room’? The room, that is, where the National Security Agency (NSA) secretly intercepts all our internet activities and analyzes them in “real time” for purposes the federal government refuses to reveal. 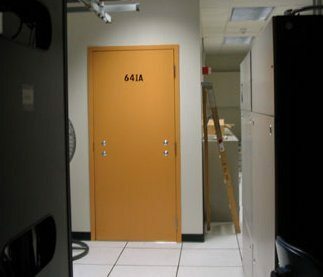 The existence of such a room in a San Diego telecommunications company was revealed years ago, after one such ‘Secret Room’ was exposed in an AT&T internet hub building in San Francisco in 2005. But has the ‘Secret Room”s exact location in San Diego been exposed? On May 20 Hugh D’Andrade of the Electronic Frontier Foundation gave an update in San Francisco about his organization’s battle against the NSA’s secret domestic spying program, and outlined AT&T’s complicity with the program. The Electronic Freedom Foundation (EFF), started in 1990, exists to protect freedom in the electronic and digital worlds, to promote innovation in those spheres, and to defend Fair Use of copyrighted materials in cyberspace, D’Andrade stated. The NSA began in 1951. This federal agency’s mission is to intercept and analyze foreign intelligence, specializing in satellite intercept. NSA possesses the world’s most powerful Supercomputer, according to D’Andrade. In late 2005 the New York Times broke the story of the Bush administration’s domestic mass warrantless wiretapping of the phone calls and internet activities of millions of the country’s citizens. AT&T handles over 300 million phone calls daily. Not long after the Times broke the story, Mark Klein, a retired AT&T technician who worked for the company for over 22 years, walked into EFF’s San Francisco office with a stack of documents. Klein had taken these documents to the LA Times and New York Times previously, but neither newspaper wanted to deal with them. Klein had “found evidence of a massive spy operation” going on at AT&T’s facility at 611 Folsom Street in San Francisco “intercepting everyone’s phone calls, emails, web searches and other internet activities,” and routing them to the NSA,” D’Andrade said. 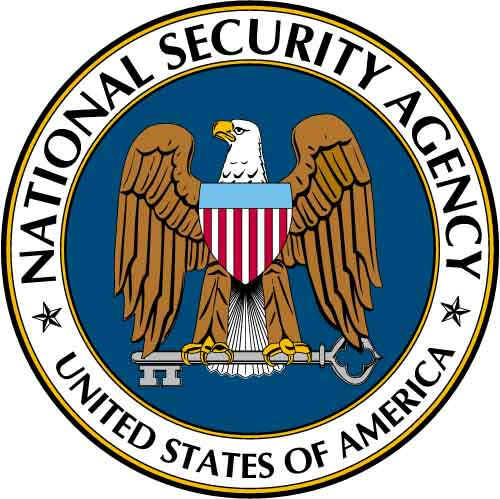 Klein revealed that, while he was working at 611 Folsom in 2002-3, he helped the NSA set up a “Secret Room” there, known as room 641-A or the SG-3 room. A fiber optic “splitter” he worked on enabled the NSA to make a copy of all internet info coming in and out of this AT&T internet hub building, “billions of bits of data per second,” D’Andrade reported. Klein was called upon to work on a glitch in the fiber optic splitter, and in so doing he saw documents that made him realize that what was going on in the Secret Room was spying on the supposedly private info of millions of Americans. NSA could then forward the copied data to NSA headquarters, and it consequently “goes on through to a secret government network we don’t know much about,” D’Andrade said. This interception affects not only AT&T customers, but “other companies sending their stuff through AT&T, everyone’s data,” D’Andrade reported. The Folsom Street facility also routes the information of 16 other internet providers, the EFF website states. In addition, there are “15-20 similar sites, possibly more,” according to the testimony by Mark Klein and J. Scott Marcus, “a former Senior Advisor for Internet Technology at the FCC,” according to the EFF. So far the EFF has identified other similar AT&T sites with NSA Secret Rooms in SAN DIEGO, Seattle, Los Angeles, St. Louis, San Jose, and Atlanta. This NSA domestic spying program has been going on not only with the cooperation (and payment) of AT&T, but also Verizon, Bell South, MCI and Sprint. Another telecom provider, Qwest, refused to participate. Qwest’s CEO has testified that the NSA’s contract offer to join the spy program preceded 911. Mark Klein had another document exposing NSA’s use in the Secret Room of a NARUS 6400 device to carry out high speed “real time” analysis of all the data it intercepted, D’Andrade said. The NSA is supposed to deal with foreign intelligence only. But this was a domestic dragnet, and furthermore the agency had no warrants to carry out these operations. According to the Foreign Intelligence Surveillance Act (FISA), the NSA has to obtain a warrant from secret FISA courts before it can begin to carry out a spy operation. EFF’s D’Andrade reported that, between 1979 and 2006, there were almost 23,000 requests for such warrants, of which only a handful were denied. Due to exposures of the NSA’s secret domestic spy program in 2005-6, thanks in great part to the efforts of Mark Klein and the EFF, the story went global. The Bush administration at first denied the whole story, then later admitted there had been warrantless wiretapping, but only of people in this country who might be connected to Al Queda. In early 2006 the EFF filed a lawsuit in federal court, Hepting v. AT&T, with the intent of holding the telecom giant accountable for knowingly participating in the NSA’s alleged illegal domestic spying program. The Bush administration responded by trying to have the suit thrown out, contending it “hurt national security to acknowledge the program,” D’Andrade said. The government also argued that the lawsuit would bankrupt AT&T and other participating telecoms. Among the government and telecoms next moves were to have immunity declared for AT&T and the other participating companies. A battle raged for two years, with the immunity measure being withdrawn in Congress repeatedly because the votes weren’t there to pass it. But the measure (FISAAA-FISA Amendment Act) finally passed in July of last year. Hugh D’Andrade reported that “continuing blog coverage” of the issue to keep it in the public eye kept it from passing sooner. In September ’08 the EFF filed another federal lawsuit, Jewel v. NSA, seeking to hold the agency responsible for alleged illegal domestic spying on millions within the borders of the US. But on April 3 of this year the Obama administration filed a motion to dismiss this suit, also being heard by Judge Vaughn. In its motion the Justice Department “claims …that litigation over the wiretapping program would require the government to disclose privileged ‘state secrets’…essentially the same arguments made by the Bush administration three years ago,” according to the EFF website. At the end of the May 20 program I asked Hugh D’Andrade if the massive domestic spy program was still going on at Folsom Street. “As far as we know,” he replied, “it is. And, so far as we know, the one in San Diego is ongoing too. Two days after the EFF presentation, on May 22, Judge Walker “lashed out at the Obama administration” because it has “failed to obey a court’s orders” to turn over a “classified document” to Al-Haramain Islamic Foundation, “that claims it was illegally wiretapped,” the San Francisco Chronicle reported on May 23. On June 3 Walker put off that decision until September. But, also on June 3, Judge Walker threw out EFF’s Hepting v AT&T lawsuit, along with many other suits filed by the ACLU, against a number of telecoms for cooperating in the NSA spy program. Walker cited the telecom retroactive immunity law passed by Congress as the reason for his dismissals. EFF and the ACLU said they would appeal Walker’s decision, contending the law was unconstitutional. Check out Michael Steinberg’s book Behind Enemy Lines and Doug Porter’s review. Purchase it for $10 as a donation to our blog OB Rag. There is an impressively sized AT&T facility in Hillcrest at 7th Ave in San Diego. No windows. Mike, good question. Ask Susan Davis. In years past, the building in Hillcrest was the local CYpress phone exchange and the AT&T Long Distance hub for San Diego. Long distance calls went through the microwave antennas on the roof. Today, it’s anybody’s guess what is in there. Older Article: GOP Presidential Race: And They’re Off!